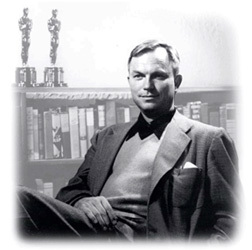 Chuck Jones has helped bring to life many characters during the Golden Age of Animation including some of Warner Bros.' most famous Looney Tunes characters--Bugs Bunny, Daffy Duck, Elmer Fudd and Porky Pig. The list of characters that he created himself goes on--Road Runner, Wile E. Coyote, Marvin Martian, Pepe Le Pew, Gossamer, and many others. Jones has created over 300 animated films in his career; has won four Academy Awards, including an Honorary Oscar in 1996. He has been awarded two Honorary Doctorates and has received countless awards and distinctions from throughout the world, most recently the Directors Guild of America' Honorary Life Membership. In the late 1970's, as artwork of the Warner Bros. And other classic animated characters became increasingly sought after, Jones began to create limited edition images depicting scenes from his most enduring cartoons. Today, Jones is the most widely collected animation artist in the world. His art has been exhibited at more than 150 galleries and museums throughout the world, including a one-man film retrospective at MOMA in New York City.